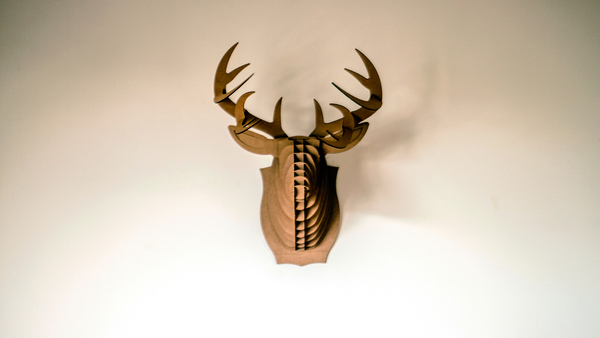 Philou le Caribou is a smart cardboard trophy deer head created by Designers Maxime Dubreucq, Vincent Claudepierre and Benoit Louzaouen. Powered by a low temperature LED (lower fire risk and electricity consumption, Philou is assembled out of 23 pieces, laser-cut in recycled cardboard, for a better logistic and sustainability. 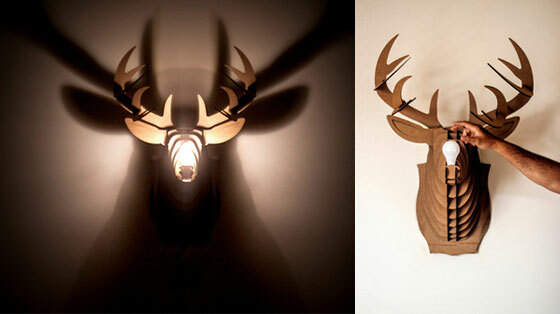 It’s a fun piece of decor during the day, but nighttime is when it really shines. 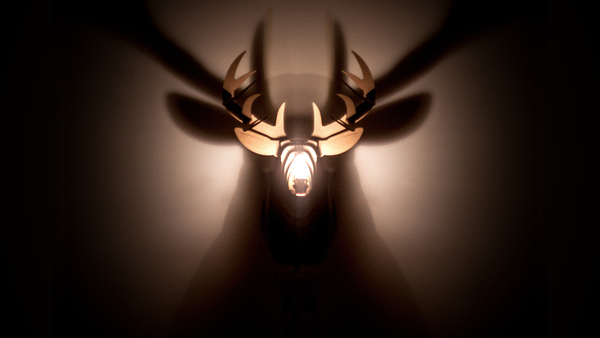 A light at the nose produces a large, looming deer head shadow effect. Nice explorations! That’s sure to be a conversation starter as a home decor.